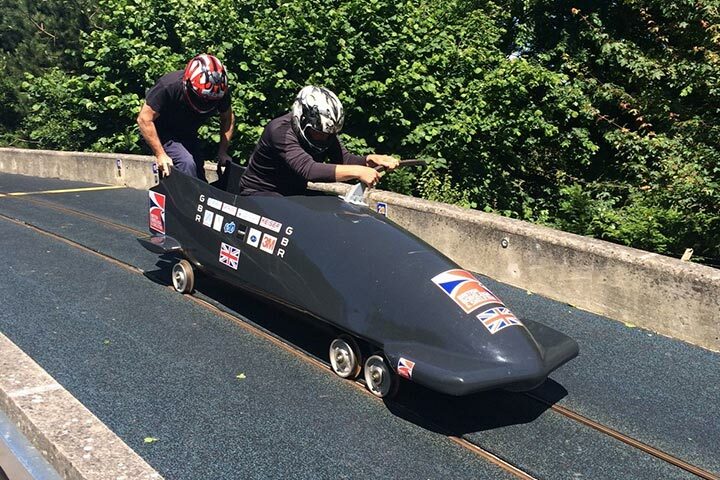 Experience a high-speed adrenaline buzz like no other with this exciting Bobsleigh for Two experience. 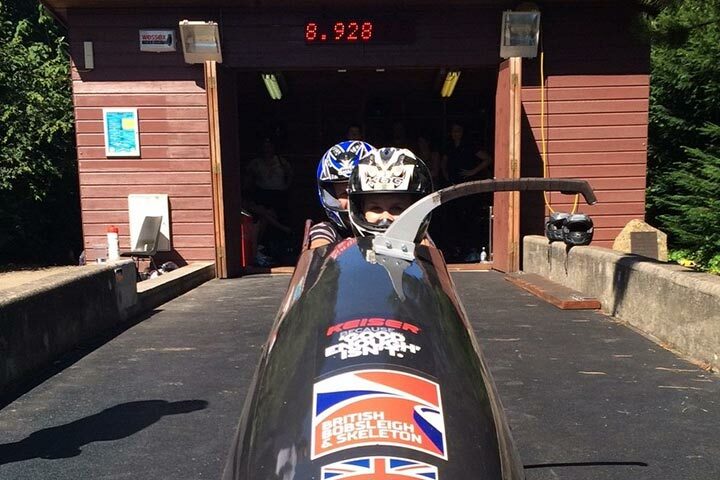 The purpose of bobsleighing is very simple, you race the sleigh down a steep hill as quickly as possible. 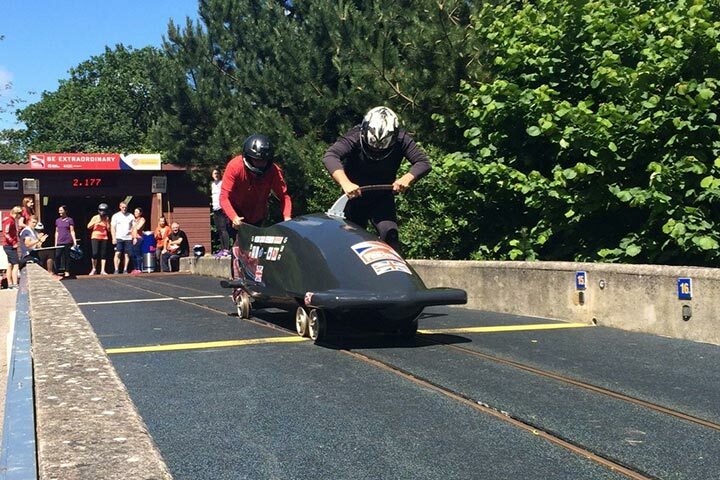 A team of people begin at the top of a hill, where, from a standing start they push the bobsleigh along, gaining momentum as they go and then jumping on board the sleigh as it hurtles down the track at break-neck speeds, twisting and turning before then crossing the finishing line. The beauty of this experience is you don’t need to head to an Olympic luge track to try this adrenaline-fuelled winter sport. In fact, you don’t even need any ice. Instead, a purpose built track has been designed with a wheeled sleigh which is affixed to a track (similar to an athletics track) with grooves, ensuring you stay safely on course. 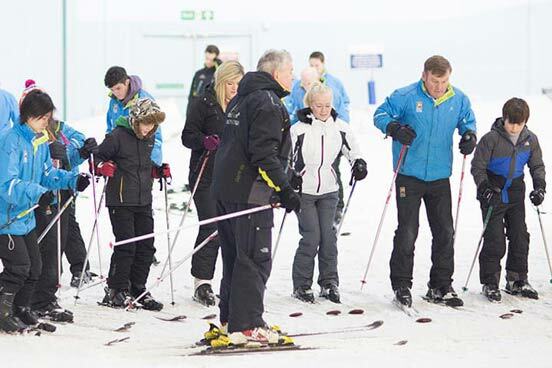 On the day, a high performance coach will guide you both through all the essential skills and strategies required to get you started and to ensure your safety. You'll focus on the most crucial aspect of the race, which is pushing the bob off the start and getting in as quickly as possible. The session starts with an introduction to the simulated bob run, then it's a thorough safety briefing. Once you are both kitted out with your protective helmet, it's out to the track to learn the sport and techniques used. You will have a trial run on the 'start facility', first built for athletes to train for the Salt Lake City Olympics. The start facility is a true replica and although it is not on ice, you can achieve speeds of up to 30 mph (total track length is approximately 60m - this is not a full length track and there will be up to 3 other participants in the bobsleigh with you). 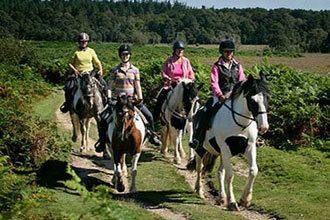 You will have a chance to get plenty of practice before being put to the test on the timed runs. 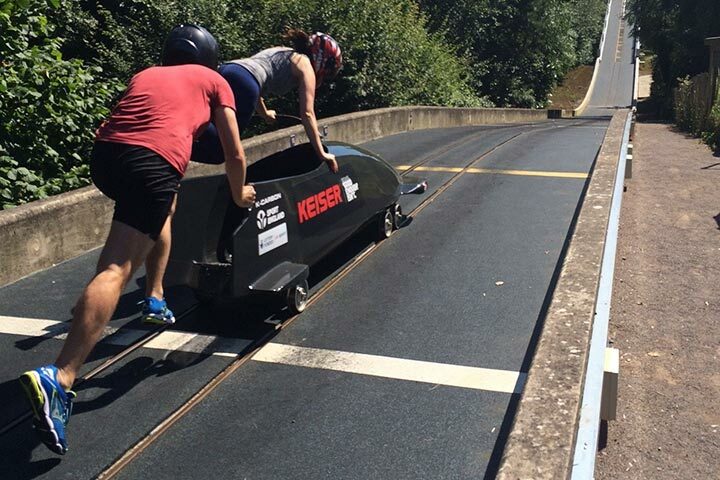 This bobsleigh experience is the perfect gift for any extreme sports enthusiasts who has a love for speed. This experience is available on selected, limited, weekend dates, throughout the year, subject to a minimum group size being met. There will be up to 18 other people on the day. I had this bought for my birthday in september always wanted to have a go on a bob sleigh. Meet some lovely instructors and after meeting Richard i wiuld like to go to Switzerland and have a go on a real bobsleigh with ice. I would like to thank you for taking the time to review your experience. I am glad to hear that you found the experience interesting by listening to the training explanation. However, I am sorry to hear that you felt you did not have enough practical experience. I have taken note of these comments and will be using them towards future product development. Your review is very much appreciated.